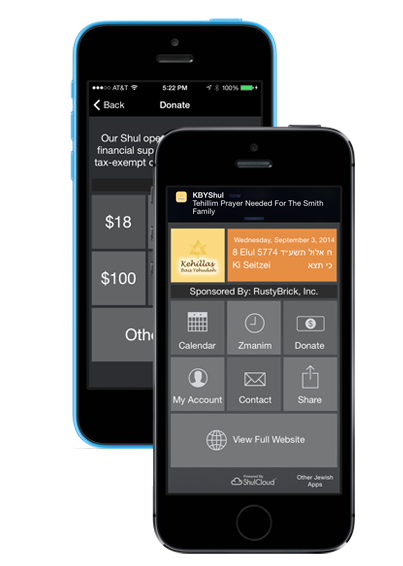 Kehillas Bais Yehudah app keeps you up-to-date with the latest news, events, minyanim and happenings at the synagogue. It also gives you the localized zmanim for the shul's location and the users current location. You can download the iOS or Android app over here.